Nintendo has often been accused of been stuck in the past and this isn't so far from truth when you realise you can barely customise your blank state avatar, and it's been an issue in several of their biggest games to date. you full control over your created character, whether it be their skin tone, hair or facial features. Take Animal Crossing, at heart it's a game that's all about personal identity, customisation and self expression, yet it wasn't until Nintendo introduced the spin-off title Animal Crossing Happy Home Designer in 2015 that you could be black or dark skin. The series has been live and kicking since 2001. Beforehand their only remedy for players who wanted to be dark skinned was for them to bake their character in the sun. To make matters worse the tan would eventually wear off and your character's complexion would return to their default skin tone. a series of questions. Thankfully in the spin-off title this was dropped and players can now select their own facial features and hair. Keep in mind that the game's primary focus is centred around character customisation and personification, yet these strange limitations existed for no other reason than to seemingly limit the player's avatar expression. A game like Animal crossing should have offered full character customisation right from the beginning. In 2013 Game Freak and Nintendo took the Pokemon world by allowing players to customise their Pokemon trainer in Pokemon X/Y. To any casual gamer this wasn't such a big deal but for many Nintendo fans this was finally a dream come true. Still, compared to other character customisation games outside of Nintendo it was pretty limited. It would take Game Freak over 19 years to implement trainer customisation, a feature fans of the series were asking the game developers over a decade for. 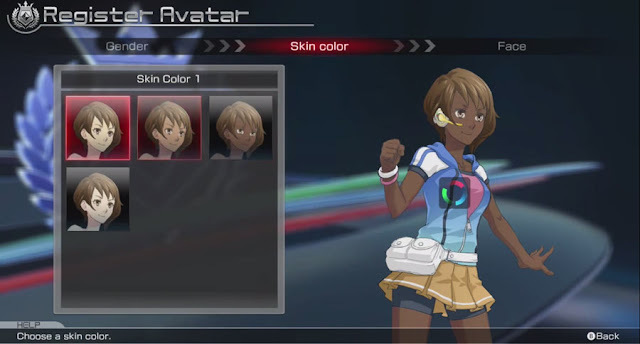 "It would take Game Freak over 19 years to implement trainer customisation"
Even so you still can't choose your skin tone outside of the preset colours that Game Freak pick and you can't change your face. The feature was even removed from the Pokemon Oras remake but fortunately would return in Pokemon Sun and Moon with a new dark skin tone, though it appears the ability to change your hairstyle was dropped in the process. For an Nintendo game, Pokken Tournament's avatar customisation is very in-depth and shows that the company is at least trying. Unlike the mainline games which are created by Game Freak, Pokken Tournament is in fact developed by Bandai Namco Studios, which possibly explains the vast amount of avatar customisation available. Fire Emblem Fates allows you to customise two established characters, Corrin and Robin. You can change their hairstyle and facial features but unsurprisingly players who want to make their avatar black have been given the shaft once more. The thing is Fire Emblem has featured dark skin characters in previous games so the logic for leaving out skin tone options doesn't make any sense. Excluding such a feature only alienates players who want their character to be of a darker hue and sends the message that that Nintendo never had them in mind. The Legend of Zelda series hasn't ever included character customisation until Wii U's Breath of The Wild, only fans who were hoping to customise Link beyond his armour and clothes are in for a shocking revelation. 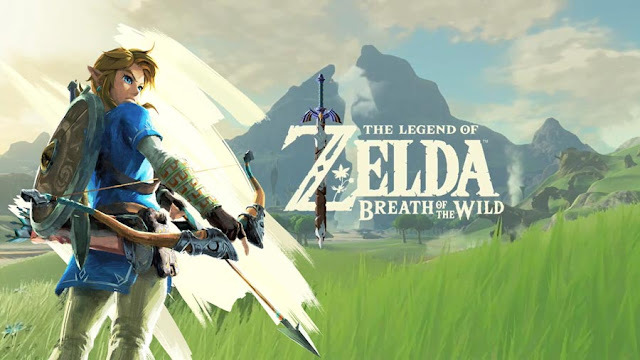 A series like The Legend of Zelda would benefit from character customisation, after all the main character Link is suppose to represent the player, a direct quote from the creator himself Eiji Aonuma. Yet Link still only represents a minority of players in appearance. Many fans of the series claim it would ruin Link's character but Link is a different entity in each game and is little more than a blank slate. You would think by now they'd at each implement a character customisation with skin and gender options. Yes over time The Hero of Time's green tunic and grunts have become iconic but his accepted image could always be used as the default preset for merchandise, media and spin-off appearances in Smash Bros. Including an optional character customisation takes nothing away from fans or the character itself. If established characters from Fire Emblem like Corin and Robin can be customised, why can't a blank slate like Link? On the other hand other Nintendo games such as Xenoblade Chronicles X, Splatoon and Pokken Tournament have managed to handle Character customisation somewhat better but they are still far from perfect. This isn't about singling out Nintendo but rather wanting to see them diversify their character customisation options so players have more options to choose from. Nintendo release their games throughout the entire world and this should reflect in their games. It's all well addressing the issues with Nintendo's approach to their avatar customisation but a solution to the problem isn't something that only Nintendo has to figure out, besides it's clear as night and day. The solution to Nintendo's limited character customisation is simple, more equals better. A choice to change your skin tone with a diverse selection of colours would make a world of difference and should be mandatory in every game that includes character customisation. Second of all, a wide selection of hairstyles to choose from would be the next step after skin tone so avatars can stand out and players can feel a better connection to their created character. "The solution to Nintendo's limited character customisation is simple, more equals better." Facial features is another option which is normally neglected by Nintendo which has player avatars looking like mere clones. An option to choose from a variety of different eyes, mouth and noses would vastly improve the avatar's individuality. These are the basic necessities for a character creation mode that wants to entice and draw in the player, without these features then it's going to feel very bare bones. What's your stance on Nintendo and their Character customisation? Let us know your thoughts below in the comment section. The funny thing is that AC Happy Home Designer isn't even a mainline game in the series. I kind of stopped playing the Animal Crossing games because of this sole reason. The same reason I never bought Fire Emblem Fates. I applaud you both for taking action instead of just shrugging it off. Still I'm curious as to whether the Animal Crossing Happy Home designer customization will make it into a mainline game.. If Nintendo staff use their brain it definitely will. The Legend of Zelda botw doesn't have proper character customization, but it's one of the games I think should. How hard would it be to add skin tone options in Fire Emblem? I can have bright blue hair but can't be black? Splatoon does it the best, I think. On the other hand, while the customization depth is huge for Xenoblade Chronicles X, the execution falls somewhat flat. I was really impressed by Pokken Tournament's avatar customization, Bandai Namco went all out. Ikr? I didn't know Pokken Tournament would be that in depth. I don't get why the handheld games don't have this level of customisation. I was blown away by the customisation in Pokken Tournament. This leads me to believe that future Nintendo games will have more deep avatar customisation. It's definitely because of Namco Bandai. Yep Pokken Tournament wasn't developed by Nintendo. Idgaf what anyone says but Nintendo is just lazy. The Wii U Zelda game is a prime example, that was the perfect game to include a character creator, seeing as you can already change his clothes but they dropped the ball again. Right! I seriously wanted to play as a female link in the breath of the wild but Nintendo make some terrible excuse as to why Link can't be a girl and I'm like wtf?! 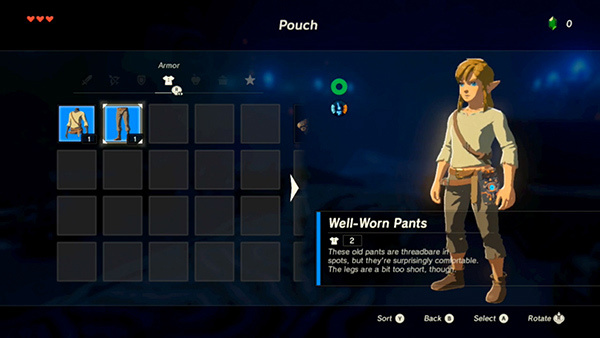 Yeah man, it was a really poor excuse to leave out skin tone and gender options in The Breath of The Wild especially as you change Link's garments. I just don't understand why Nintendo couldn't go all out with the customisation in botw. Link is a blank state character so it wouldn't hurt his character. When i found out botw didn't have gender and skin tone options, I was like "boy bye", my excitement for it just vanished. I'm glad character customization is back in Pokemon Sun and Moon, but I definitely think more options should be available (There's only one face option). Nintendo IPs have very limited customization options even though they tout around the idea of self insert characters or cutsomization. I'm thrilled that you can finally have dark skin in Pokemon Sun and Moon but the customization in Pokken Tournament is lights years ahead. I'm so glad Nintendo has been called out for their lacklustre character customisation, still I can they are trying when I see games like Splatoon and Pokemon. Even though I'm a huge Nintendo fan, I agree to the fullest extend. I too wish they would make more in depth character customisation. Nintendo's gotta get with the times. I can't believe limited character and avatar customization is still a thing. Nintendo have to do better. So you're telling me Animal Crossing never had skin tone options until now? How in the hell did Nintendo get away with that?! Too right, Nintendo avatar customization is a turn off. 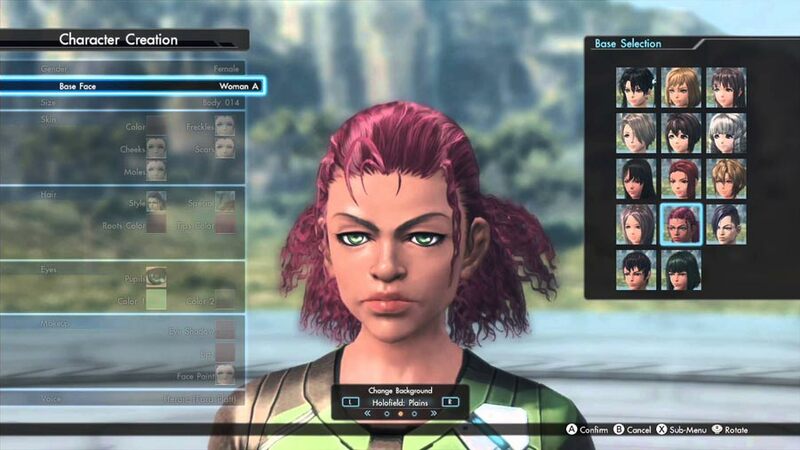 This is 100%, despite what the Nintendo fanboys want to say, Xenoblade Chronicles X character customization was seriously lacking for black avatars!